Women really appreciate it when their guys think outside of the box. 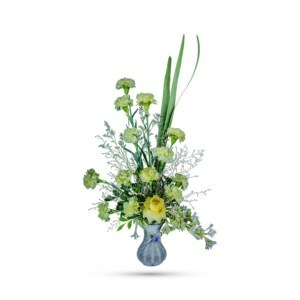 Put a twinkle in her eyes and a smile in her heart with our beautiful bouquet, Say it with your heart. 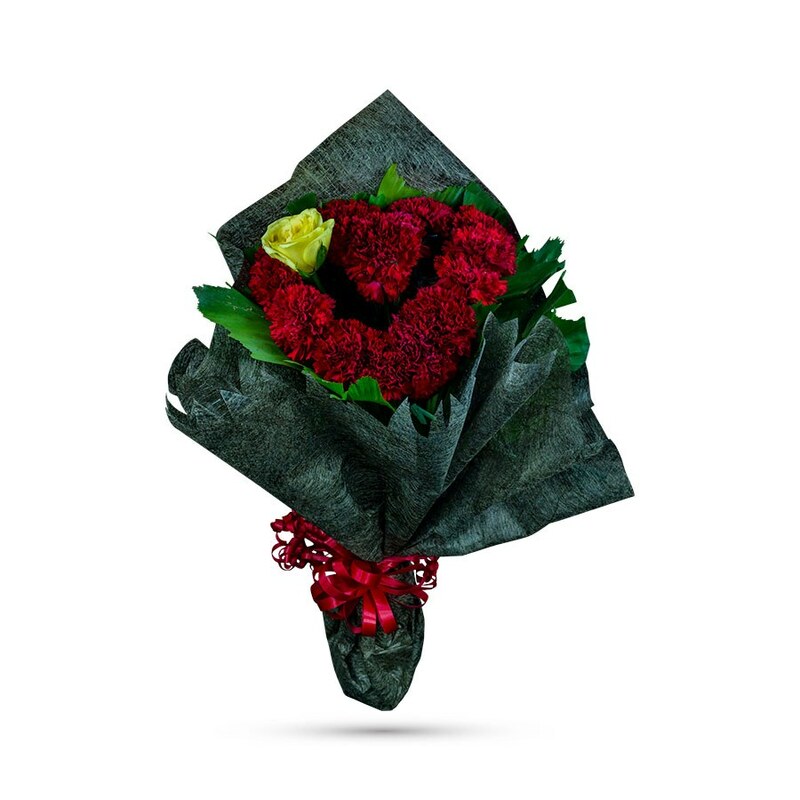 There’s nothing like a little unique arrangement of red carnations to prove that you’re using your imagination and aren’t afraid to let her know. A heart made entirely of red carnations and one yellow rose is nestled in a cloud of garden-fresh greens and presented in a green or golden fibrous wrapping paper adorned with a pretty red ribbon. 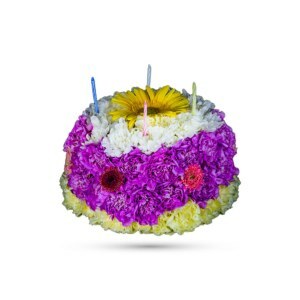 It’s a beautiful mix of radiant blossoms in a stunning unique arrangement. 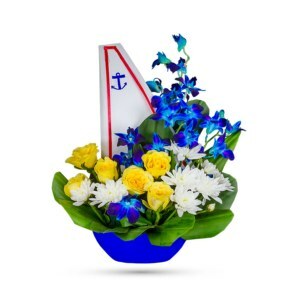 Whether you want this arrangement to say Happy Anniversary or Happy Birthday or Happy Any Day, you can be sure that the day it arrives will be a bright and an enchanting day. 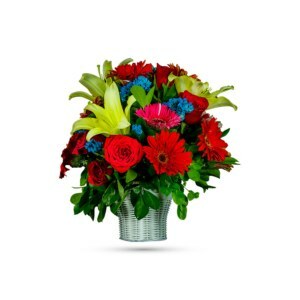 So, order and send your love with your lovely wishes and they’ll be hand-delivered right at your loved ones doorstep. Say it with your Heart is one singular sensation! It’s good, Different. Was looking for this kind of online shops.